Celebrity Big Brother viewers have slammed Renee Graziano and Christopher Biggins after the Celebrity Big Brother housemates claimed bisexuality was the "worst type" of sexuality. In Monday night's episode the pair were shown talking in the bedroom about sexuality, with openly gay Christopher Biggins asking the Mob Wives star: "Renee you’ve got nothing against gays have you?" "I think it’s beautiful because it’s who you are and I think it’s natural," she said. "But I think today in society, I think they kind of force things on people and confuse you," she continued. Biggins agreed, before adding: "The worst type I’m afraid to say are the bisexuals. What it is is people not wanting to admit they’re gay." Which saw Renee exclaim: "You have to pick a team!" Lest we forget, 'Biggins' is a member of the National Executive of LGBTTory. Piss off you old twot. Most of my boyfriends have been bisexual - I think they're the best. 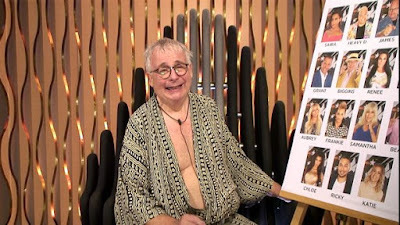 Why does anyone take Biggins remotely seriously? His view on any issue of gay sexuality is about as valuable as Tony Blair's on nation building.